This Blackpool customer had used our services several years ago to repair a faulty solar panel system when he found that the original installer had ceased trading. At that time he had asked about the potential for battery storage but we had advised him to wait until the market was more mature and offered a larger and cheaper range of products. Recently he was cold-called about battery storage systems but he felt that he was being misled so he contacted us for advice. We presented him with a range of options highlighting the features, benefits and prices of each. 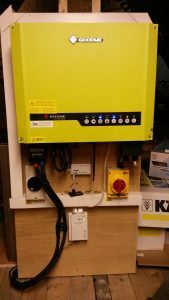 Having considered these options he chose to replace his existing solar inverter with a hybrid inverter system comprising a Goodwe 3648 inverter and LG Chem 6.4kWh lithium ion battery. The Goodwe inverter ensures that any surplus generated electricity is stored for the customer’s own use, rather than being exported to the electricity grid. It can then be called upon when the solar panels are not meeting the household electricity load, e.g. at night. 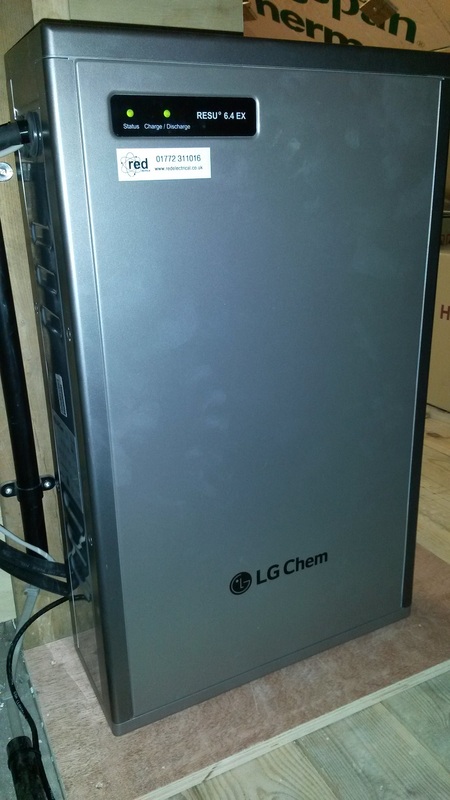 The LC Chem 6.4kWh battery is a lithium battery therefore it has a high depth of discharge of 80%, which provides the customer with 5.12kWh of storage capacity. 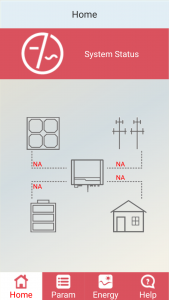 This will provide many hours of electricity supply when fully charged, reducing consumption from the electricity grid. The installation was completed in a few hours and the client is very satisfied with the result. He can track the flow of electricity via a smartphone app, and also via an online portal.